Come stay at our NEW Airbnb Trailers! Experience Williams, AZ in style. We are only an hour away from the Grand Canyon and surrounded by scenic views! Come camp with us now! View from our selection of Airbnb properties on site and stay with us today! 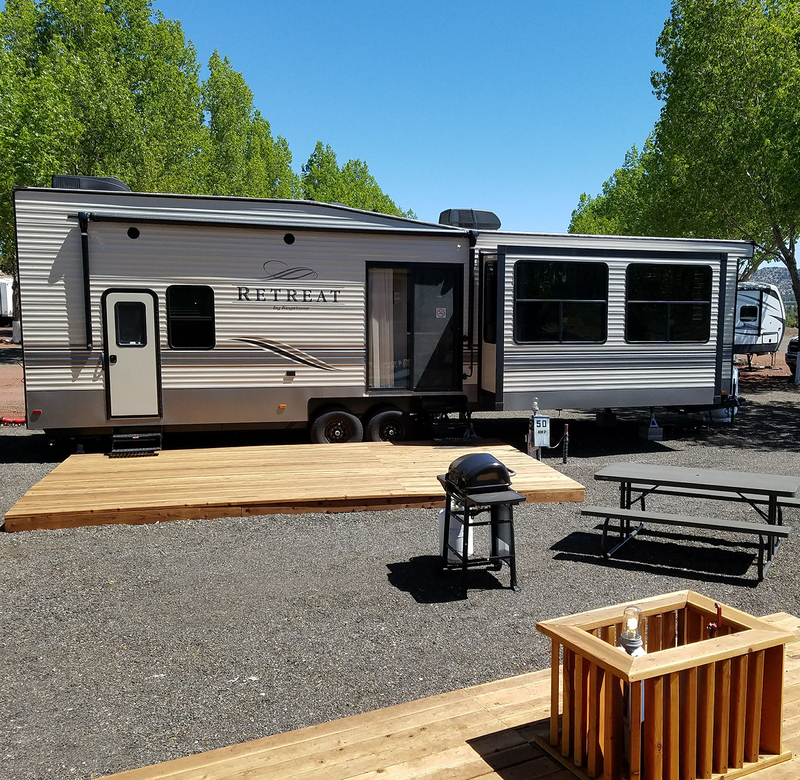 Absolutely stunning Bunk Retreat Camper near the Grand Canyon, Grand Canyon Railroad, Bearizona, Grand Canyon Brewery, hiking trails, Elephant Rocks Golf Course, and much more. This place is fabulous for large groups and families! A 2-bedroom Destination Trailer is a perfect option for large groups. 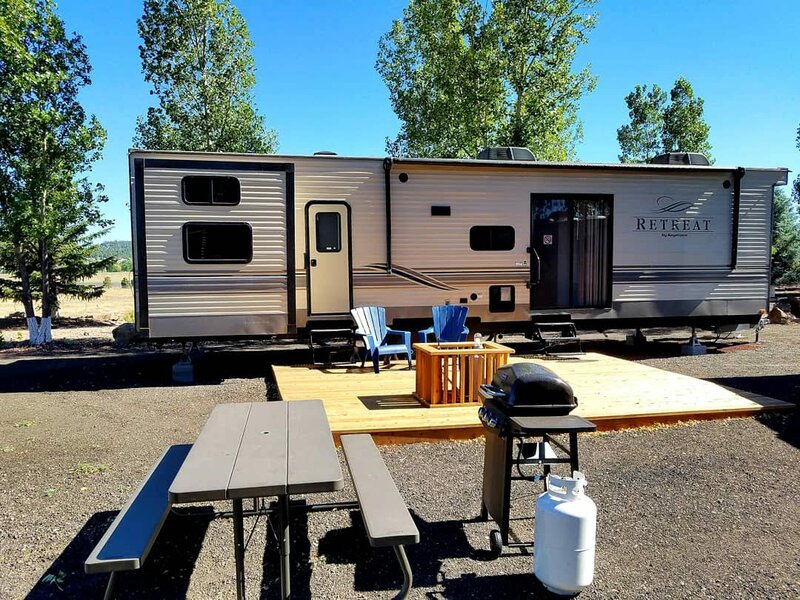 Absolutely stunning loft style RV Camper near the Grand Canyon, Grand Canyon Railroad, Bearizona, Grand Canyon Brewery, Elephant Rocks Golf Course, and numerous gorgeous hiking trails that will take your breath away! This place is fabulous for large groups and families! Heading to the Grand Canyon for Summer travels? This beautiful BRAND NEW Camper is now available! 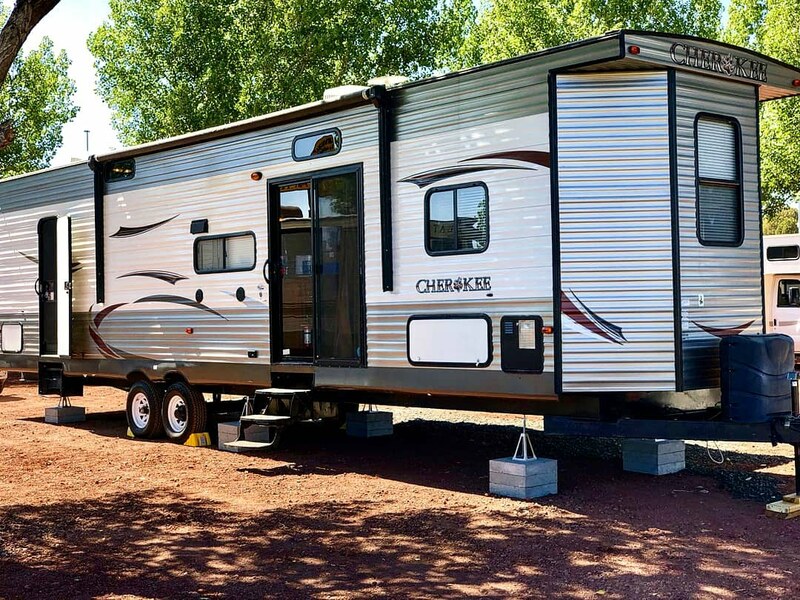 This camper is a gorgeous place for you, family, and friends to visit while heading towards the Grand Canyon. 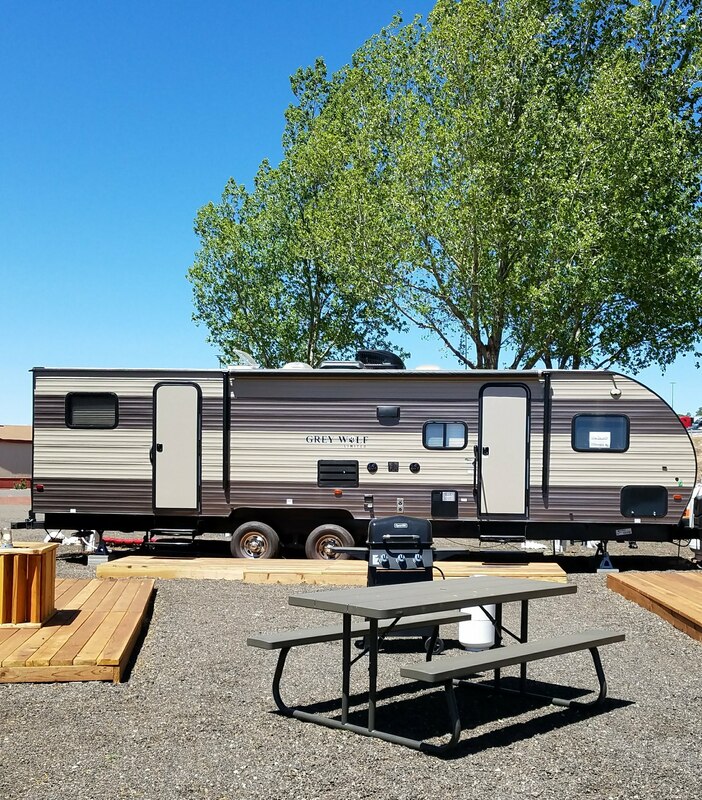 Gorgeous Dog-Friendly Camper near the Grand Canyon, Grand Canyon Railroad, Bearizona, Grand Canyon Brewery, Elephant Rocks Golf Course, and numerous gorgeous hiking trails that will take your breath away!